Intrigue Chocolate Company is a small, artisanal chocolatier who celebrates the discovery of rare and exciting flavors through the medium of fresh, handcrafted ganache truffles. 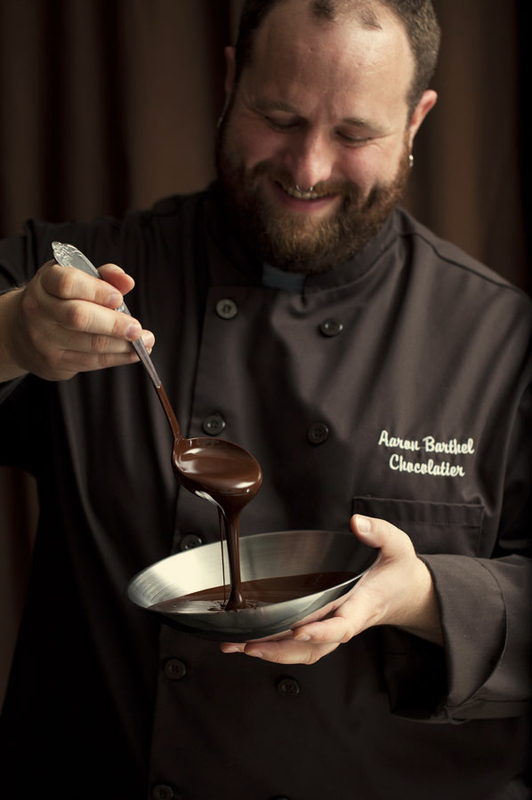 With a background in baking and a degree in botany, co-founder and head chocolatier Aaron Barthel is an artist who delights in the convergence of the methodical and the experimental. Focused on high-quality, seasonal produce and rare spices, his chocolate creations are very limited—with some flavors only making a single appearance. Intrigue had a small, loyal following but needed to tell their story to a larger audience and increase revenue so they could reach their goal of opening a storefront in Seattle’s historic Pioneer Square. They also had a unique set of packaging challenges; Since the truffles contain fresh cream they must stay cold in transit. And with so many unique creations they needed a way to communicate the flavor extension on each small wrapper, which had to be affordable at small quantities. And the final look had to feel both premium and practical, with an emphasis on sustainable and reusable packaging materials. To take on this challenge I joined forces with my dear friend and colleague Jason Grube, and together we guided Intrigue through an in-depth process of articulating their brand platform, expressing it visually, and solving a myriad of unique packaging challenges for their perishable product, including a custom, air-insulated, 12-piece "bookshelf” box. The lovely gentlemen at Intrigue Chocolate Co. were thrilled with our work, and reported a 400% increase in sales over the following 2 years. They were then able to hire their first full-time staff member, and 2 years later we are working with them to help plan and design their dream storefront space in Pioneer Square—opening Summer 2015.